Texas case is the pro-life movement’s first return to the high court in a decade. The case reflects recent shifts in pro-life activism, including a greater emphasis on women’s voices, leadership, and wellbeing. While abortion opponents remain concerned with the life of the unborn baby, they also highlight the physical and emotional risks posed to its mother. The women rising in the pro-life movement since the ‘90s “actually believed pretty deeply that abortion hurts women,” law professor Mary Ziegler told The Washington Post for its examination of how the nation’s highest court will test this new strategy. Justice Anthony Kennedy is left as the deciding vote. 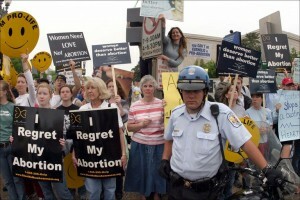 The New York Times reports that the case has amassed hundreds of personal abortion testimonies filed within supporting briefs, including personal stories from lawyers who say their abortions changed the course of their lives for the better, and a statement signed by thousands of women who say they suffered decades of “trauma and emotional injury” as a result. Released by Her.menutics, a division of Christianity Today. The Galli Report. Gleanings. March 2016. Her.meneutics editor Kate Shellnutt follows current events and religion news across the web from her home outside of Augusta, Georgia. A former religion reporter and web producer for the Houston Chronicle, her work has earned honors from the Society for Features Journalism and Religion Newswriters Association. She studied religion and journalism at Washington and Lee University and Northwestern University’s Medill School of Journalism. Kate loves cooking TV, comedy podcasts, and social media. She tweets as @KateShellnutt.